The tenants Alliance procured included Anixter, Universal Furniture, Del Monte Foods and OSCO Drug Stores each executing 10-15 year NNN lease commitments which included 3-7% TI allowances. Anixter relocated for the Southwest Suburban, Universal from Hodgkin’s, OSCO Drug Stores Bedford Park and Del Monte NW IND. Alliance provides national and international reach, with a local touch, through our affiliates across North America and around the Globe. With up to 156 new offices set to open nationwide over the next 12-24 months, our national teams are just as close as your local market area. With strategic locations planned across primary, secondary and tertiary markets in nearly every state, we are here to serve all of your commercial real estate needs through acquisitions, funding, transaction management and property services. Our leasing practice provides services to both landlords and tenants, so wherever you land in the equation, you can count on Alliance to serve your needs and to protect your interests. With decades of experience, we are your best option when it comes to leasing. 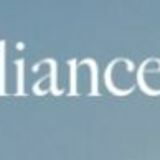 When it is time to reallocate or to grow, you can count on Alliance to assist you with divestiture, future acquisitions and property management. 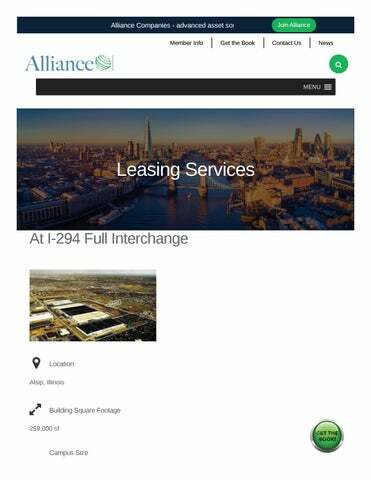 Join Alliance Alliance is a National operating platform with the framework for servicing submarket, regional and national work-product requirements and offering advanced practices.